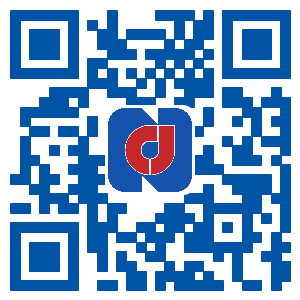 Nanjing Urban Construction Design Institute Co., Ltd. was established in September 2011, joined by renowned experts and urban construction elite of Nanjing, in order to adapt to the development of urban construction, with independent legal person qualification. The company and a number of well-known design institute (company) formed a joint design team, engaged in preliminary scheme of city infrastructure construction project planning, project consulting, engineering design and survey. We will be adhering to the "unity, development, responsibility,contribution" of the enterprise culture the purpose, seeking to the "sincerity, enterprise, rigour, excellence" of spirit of enterprise and faith, insisting to the "quality is life, service is tenet" of business principles, and develop with urban construction together. The company relies on a number of well-known domestic design institute (company) with Grade A in municipal public engineering consulting, Grade A in municipal industry(road,bridge,tunnel,rail), Grade B in municipal industry (drainage), Grade A in highway industry(highway), Grade B in construction industry, Grade A in engineering survey industry(geotechnical engineering) , Grade B in engineering survey industry (hydrogeology, engineering survey), and passed the ISO9001:2000 and GB/T19001 2000 quality system certification. The company is led by renowned experts of Nanjing urban construction, with young designers as the backbone, has strong market competition ability and higher market share. As a private technology enterprise newly established, output is increasing gradually, the economic benefit increased year by year, elaborate design and sincere service to win a good reputation for the company.